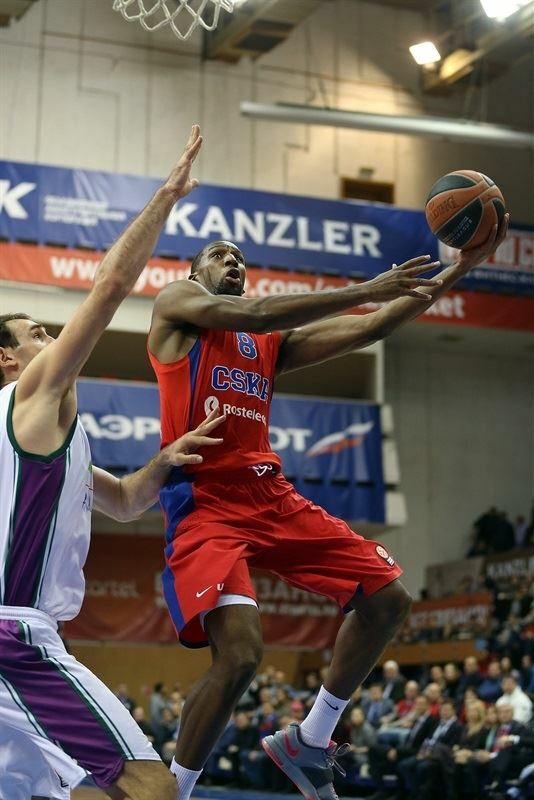 CSKA Moscow remained undefeated this season by whipping Unicaja Malaga 101-74 on Thursday in the Russian capital. A week after claiming bwin MVP of the week honors, Nando De Colo did not miss a shot en route to 28 points, while Milos Teodosic set a Top 16 record with 14 assists to lead CSKA to a 4-0 start to the Top 16. 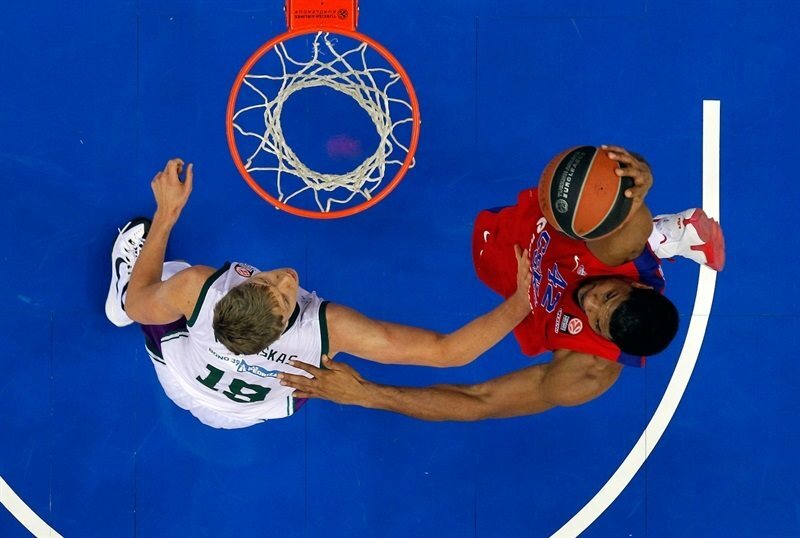 The result dropped Unicaja to 0-4 in Group F. It took CSKA some time to pull away; Unicaja trailed 34-33 early in the second quarter, but a 10-0 CSKA run helped the hosts to a 54-41 halftime lead and the CSKA guards dominated the second half as the lead grew to 29. Teodosic, Sasha Kaun and Demetris Nichols each scored 13 for the winners. Will Thomas and Mindaugas Kuzminskas scored 11 each for Unicaja and Fran Vazquez and Kostas Vasileiadis added 10 apiece in defeat. Jumpers from the hosts’ Vorontsevich and the visitors’ Vasileiadis set the game in motion. Kaun made an immediate defensive impact with 3 blocks in the first two minutes. De Colo starred with a nifty layup at one end and drawing a charge at the other. Vazquez countered with a basket-plus-foul to tie the game at 6-6. Vorontsevich’s next bucket was followed by a Vasileiadis triple for Unicaja’s first lead. The shots started to fall at both ends. Caleb Green and De Colo traded triples to make it 15-15 midway through the quarter. After a pair of Mindaugas Kuzminskas free throws, Kaun threw down vicious one-handed slams on consecutive possessions. Vazquez used his quick hands and feet to turn Vasileiadis’s missed three into an offensive rebound and slam. Kaun added a tip in, but Vazquez kept the teams even from the line. Teodosic’s jumper and foul made it 26-23. After De Colo added foul shots, Ryan Toolson and Teodosic traded three pointers to end the quarter at 31-26. Unicaja’s crisp passing led to a Thomas slam. De Colo continued his strong play with a triple from the corner. Toolson drove for a tough layup and Thomas added a basket-and-foul – which also sent Manuchar Markoishvili to the bench with 3 fouls – as Unicaja cut the gap to 34-33. 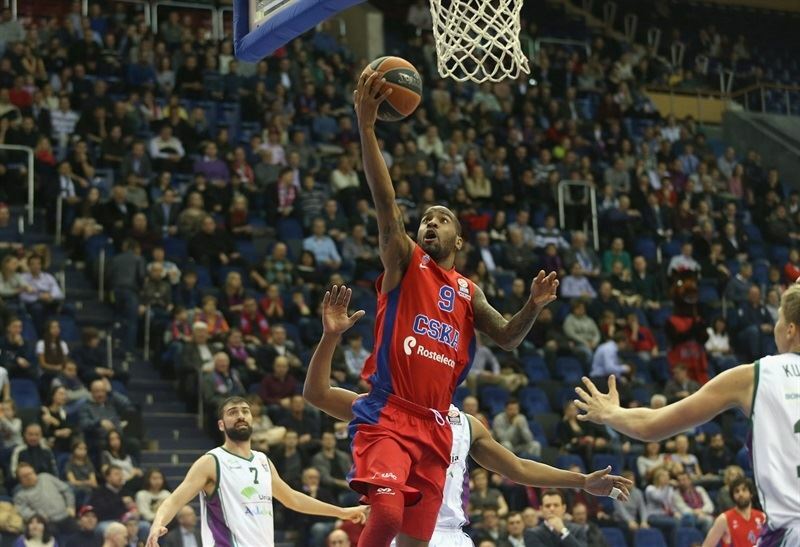 Kyle Hines took a rebound coast to coast for three-point play and then turned a steal into a De Colo layup as CSKA regained a slim cushion. Nichols’s three-pointer made it 42-33 midway through the quarter. Kaun banked in a one-handed shot to extend the hosts’ run to 10 unanswered points. After a Unicaja timeout, Thomas ended the drought, but Nichols made a jumper too. Vladimir Golubovic finished off a series of quick passes with a layup only to see Teodosic feed Kaun for an alley-oop slam at the other end. Kuzminskas drove baseline to bring Unicaja within 7, but Vorontsevich followed with a triple and soon Teodosic added another for a 54-41 advantage at the break. Thomas beat the 24-second clock for the first bucket of the second half, but the momentum remained with the hosts. Nichols’s tip-in was followed by Teodosic’s perfect pass to Jackson for a layup and a 59-43 lead. After a timeout, Vazquez drilled a jumper, but Kaun scored in the paint. Stefan Markovic and Vazquez each scored on the break for Unicaja, but another pretty dish from Teodosic released De Colo for a baseline layup. De Colo knocked down his third three for a 66-48 advantage. Thomas’s fast break layup was answered by Teodosic with a jumper. Markovic scored again for the visitors, but De Colo’s layup and Nichols’s three took the lead into the 20s. De Colo scored on the break to make it 75-52. 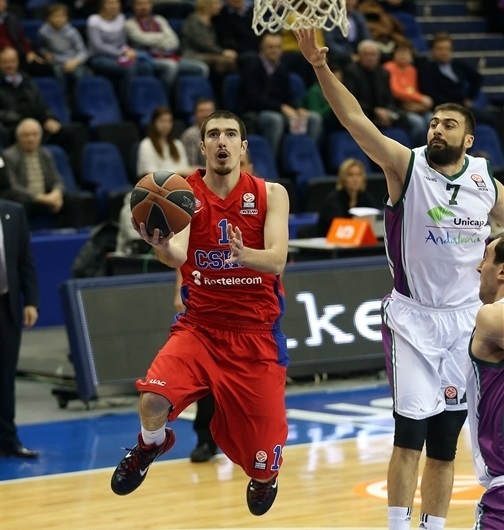 The red-hot De Colo sank another three. 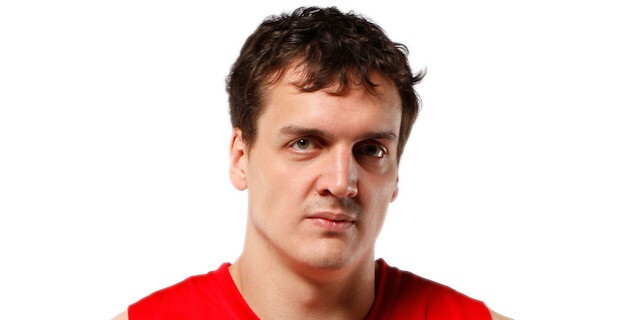 After Kuzminskas scored, Vitaly Fridzon hit from downtown to make it 81-54. Granger and De Colo traded jumpers. Nichols’s third three from Teodosic’s 10th assist further extended the lead to a game-high 29. Kuzminskas netted free throws and a three-pointer before Jon Stefanson added a tough layup and foul. Green split free throws to complete a 0-8 Unicaja run. Teodosic collected a few more assists with dishes to Hines inside, Aleksey Zozulin for a three and Hines for a slam as the hosts cruised to a lopsided victory. "We played well almost the entire match. The exception was only in the first quarter, when we allow them to make open shots. But then we started defending as we should have been from the beginning. De Colo never missed. Teodosic had 14 assists, which is very important in terms of creating opportunities for others to attack. Our players are completely devoid of selfishness. Any team making 25 assists in a Euroleague game is something you don't see often. Today, it was Nando who didn't miss. Tomorrow, it will be Jackson or Vorontsevich. Demetris Nichols played really well, which gave us the required size at small forward and we could easily switch on defense. On offense, he was also extremely effective today. We don't have our heads in the clouds. We haven't even played half of the season yet. There are many things that need to be improved, especially on defense." "I don't think there is too much to say. We had our worst game this season. From the first quarter, we saw we were not in the game. We allowed 31 points in the first quarter, which would be, at that rhythm, 124 points at the end of the game. It means that your mind is not where it should be. Congratulations to CSKA. 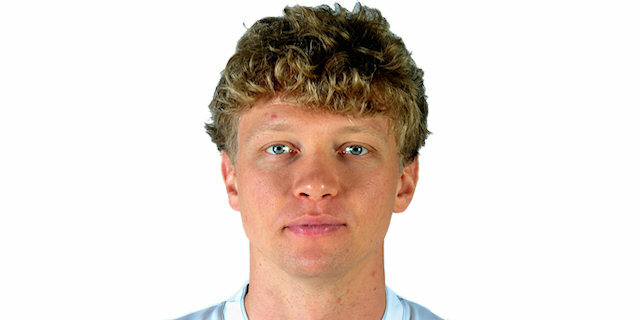 We don't have what CSKA, Barcelona or Real Madrid have, two or three players at each position or 14, 15 players. We don't have those options. When you play like we did, four games in eight days at the end of December, we struggled a lot with a lot of injuries. We lost against Olympiacos at home, played a great first half against Efes but they recovered. 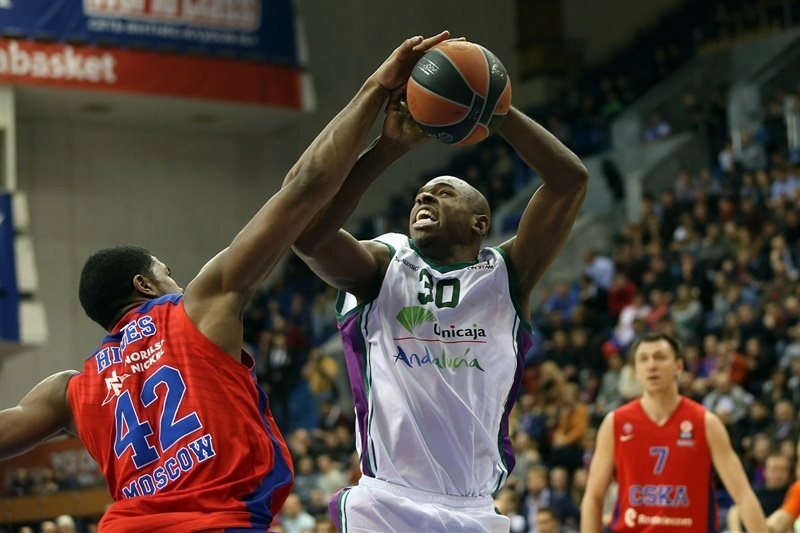 Unicaja is one of the four teams that played each of the last 10 editions of the Top 16. It means we appreciate the Euroleague a lot. We know we are totally capable to win seven of our final 10 games. We respect both competitions." "Nobody here thinks about the winning streak. Probably a loss could be useful for the team, but we‘ve had enough games in which we could have lost. But we found the way to win. So it’s a good lesson for CSKA. I think today we controlled the rebounds and showed quality basketball on defense." "There is nothing to say. 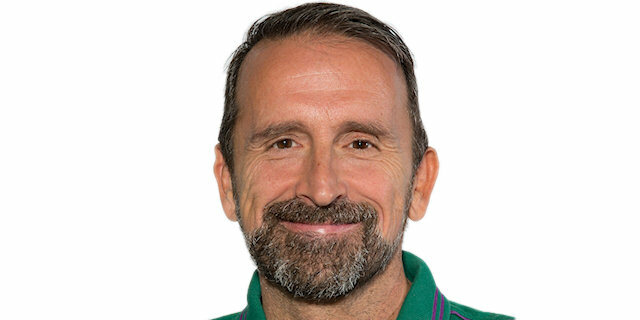 It’s my second year in Unicaja and it’s the biggest loss we had. In the first half we were playing so-so and in the second one when CSKA started to run we just gave up and they killed us. Giving up is our main problem. Even if we are losing, we always need to fight. But now it’s probably the worst Unicaja game in two years. Right now we have a 0-4 record in the Top 16. We need to touch the ground and jump higher. Our other games will be better for us."